Adnan advises Energy & Utilities companies on growth and investment strategies with broad, cross-sector experience and expertise in organization transformation and restructuring. Adnan is a partner within the Energy & Utilities Practice at Arthur D. Little Middle East. He is also Global Head of the Renewable Energy & Energy Efficiency Competence Center. Adnan serves Energy & Utilities clients across the region, covering wide-ranging topics such as renewable energy, market regulation, and investment & diversification strategies. Since joining Arthur D. Little in 2010, Adnan has been actively involved in complex strategy development, organization design and transformation projects for clients spanning broad sectors in the Middle East. 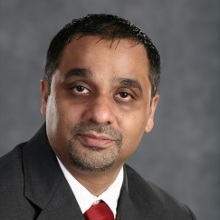 Prior to joining Arthur D. Little, Adnan worked in the microelectronics industry in the US for over eight years, gaining deep experience in strategy and operations topics. In addition to consulting, Adnan is passionate about child health and education-related causes; he has also served as president of a charitable organization, Association for India's Development (AID), in the US.